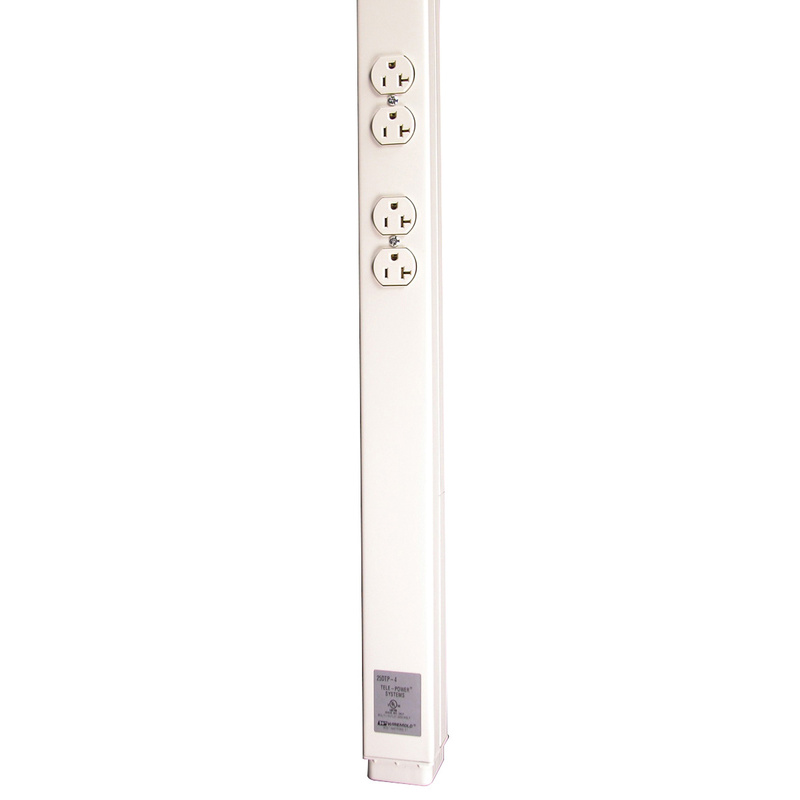 Wiremold Tele-Power® 25DTP Series two-compartment factory wired pole in ivory color, features steel construction for effective corrosion resistance. This pole has a current rating of 20-Amps and Voltage rating of 125-Volts. It comes complete with Category 5e connection. The dual-channel accommodates electrical power circuits with receptacles and low voltage cabling. It has a dimension of 10-ft 5-Inch x 2-1/4-Inch x 2-5/16-Inch. Pole accepts industry standard and proprietary devices from a wide range of manufacturers to provide a seamless and aesthetically pleasing interface for voice, data, audio and video applications. It has high wiring capacity to accommodate one dedicated/isolated ground duplex receptacle, one standard duplex receptacle outlet, 19 unshielded twisted pair category 5 cables, 47 two-pair telephone cable, 24 Rg58/U coaxial cables, eight 100-Ohm twinaxial cables and six type-1 shielded twisted cables. Pole is UL listed.